Of the many reasons to love old wine barrels, not least is that so many great DIY projects leverage their unique shape and rustic patina. What makes an old wine barrel so irresistibly charming? Is it the unique shape, the warm tones of the wood, the weathered metal strapping? If you’re a DIYer, you know there’s yet another reason to love wine barrels: They lend themselves so easily to so many projects for the home. 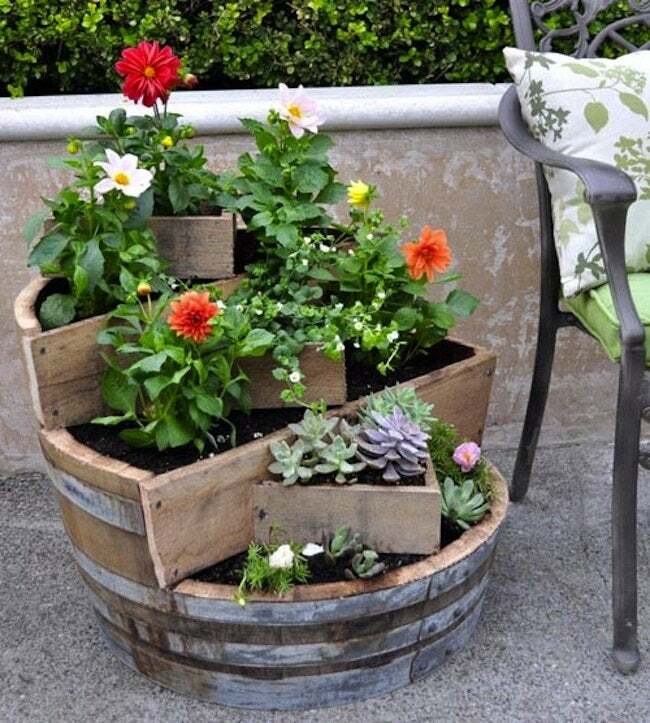 If you read the same blogs I do, you’ve already seen a million wine barrel DIY planters. Kate at Centsational Girl didn’t love the approach that’s become pretty standard among weekend project tinkerers, so she took matters into her own hands, creating this superior—and delightfully quirky—multitiered version. Although it’s modeled after something she once spied on sale for $300, Kate’s creation only cost her $25 in materials. 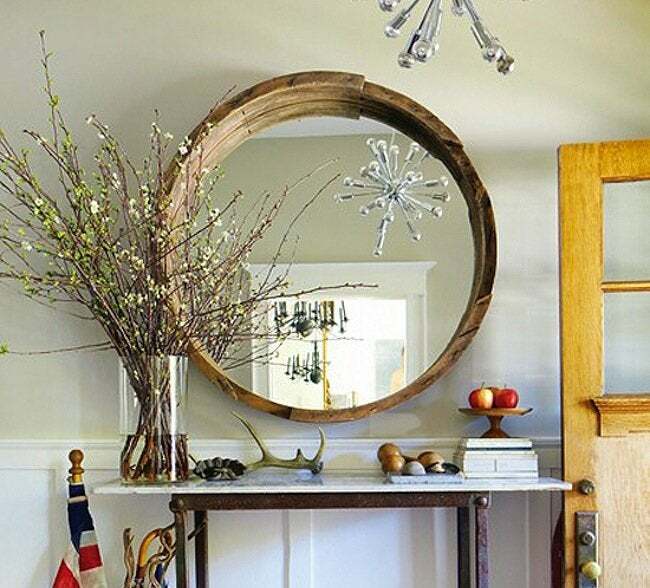 After noticing a wine barrel DIY mirror in a Canadian design magazine (of all places), Kate at A Storied Style attempted her own riff on the theme, and succeeded. What she did was buy a half barrel at her local home improvement center, cut it down to size, and then slot in a round mirror. Easier said than done, of course, but in this reporter’s opinion, Kate got a gorgeous, unique result. 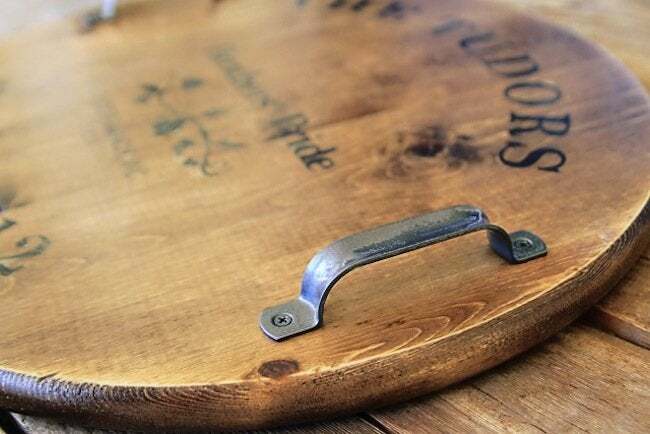 Don’t forget the metal hoops that secure the wood staves of a wine barrel! These, too, may be repurposed in surprising and very cool ways. 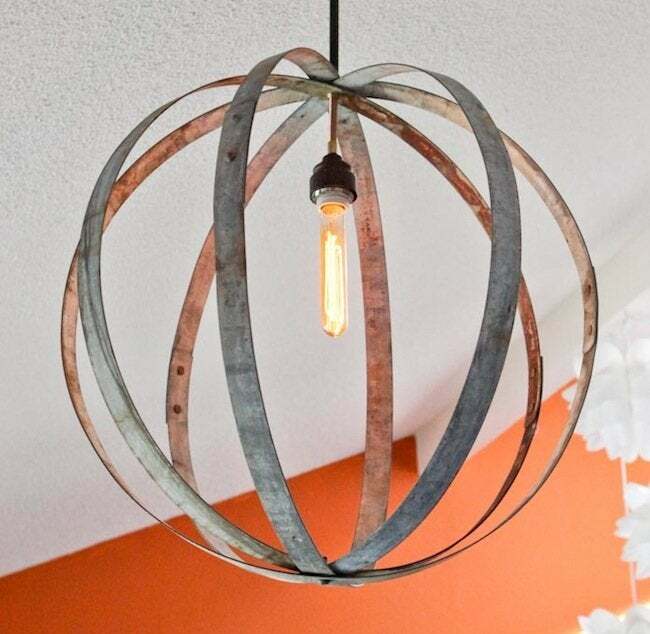 Case in point: a barrel-hoop chandelier. Make your own by fashioning the bands into a spherical shape and then bolting them together. It’s high design at a low cost, perfect for anyone who loves the stripped-down aesthetic that fancy people like to call “industrial chic”. Here’s a wine barrel DIY that couldn’t be much easier. After all, a barrel “head” is just the right shape, and vineyard markings are all the decoration you need. If you can’t find the genuine article, take a lesson from Ashley at Lil Blue Boo; she created the above simulation using a pre-cut table top. Come on, why can’t your pet reap the benefits of your wine barrel DIY creativity, too? Make your own version of this example from The Gilded Horn. The process is enticingly straightforward. 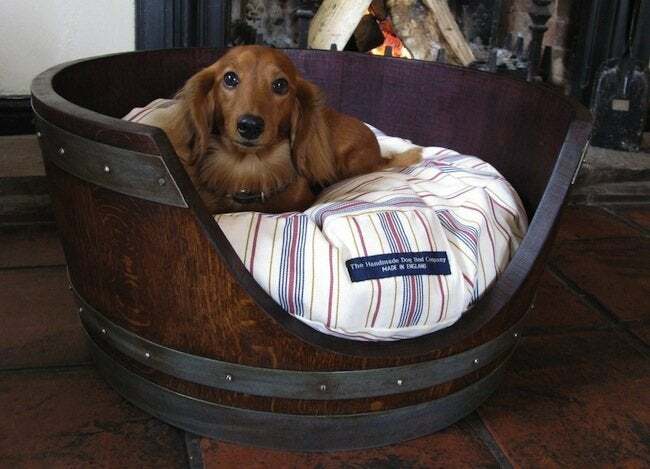 All you need is a $22 half barrel, and what you get is Fido’s dream bed!